The Lady Mechanic Initiative® (LMI) is a non-governmental organisation headquartered in Lagos-Nigeria with global outlook. Established in 2004 to empower vulnerable girls/women with mechanical and technical skills for a better life. I have no regrets being a Lady Mechanic. I aim to be one of the best mechanical engineers in Nigeria. I’m contented with the job, and my family is happy too. I want to say a big thank you to the Lady Mechanic Initiative and Aunty Sandra. She made me who I am today. 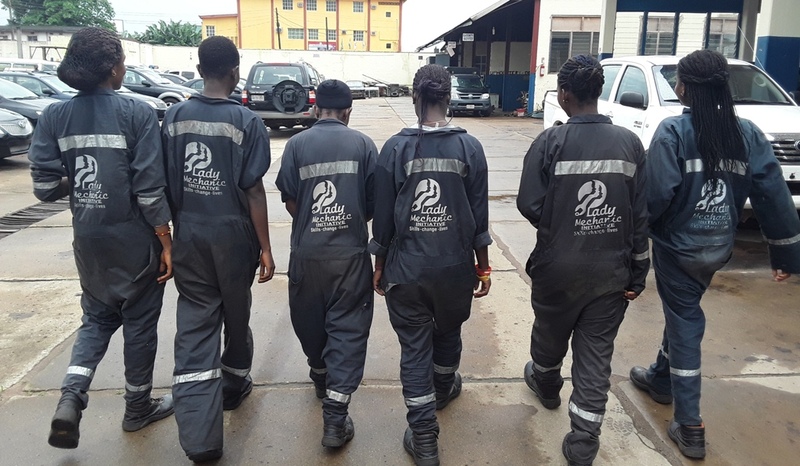 The Lady mechanic here in Edo, a large number of youths are working here, different departments. They are doing the job, and we are being paid regularly. Our job is to empower the girl-child.